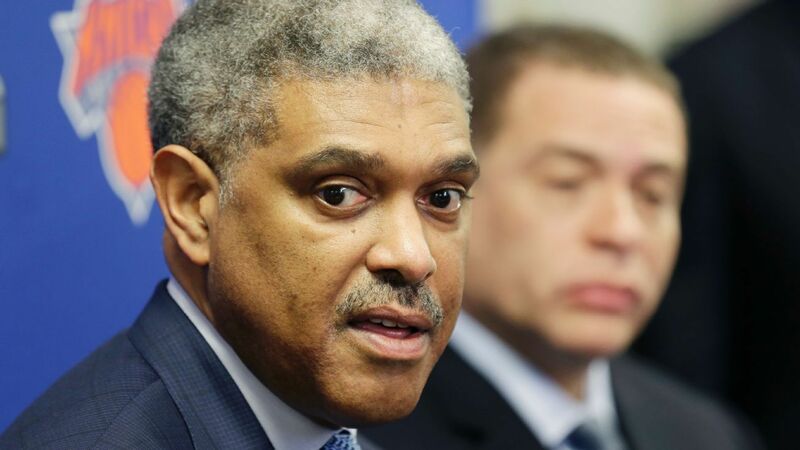 New York Knicks team president Steve Mills believes the perception of the club among NBA players has changed recently. The Knicks have won just one playoff series in the past 18 years and garnered negative attention for several off-court issues in recent seasons, including ex-Knick Charles Oakley’s physical removal from Madison Square Garden and the public unraveling of the relationship between ex-team president Phil Jackson and Carmelo Anthony. Mills and Perry also said that Kristaps Porzingis‘ rehab from surgery to repair a torn ACL is going well. Porzingis is in New York and will be evaluated this week to determine the next steps in his rehab. Porzingis is eligible for a five-year, $157 million extension prior to the season. It’s likely the Knicks will wait until next summer to sign Porzingis to the extension to create an extra $10 million in cap space next summer. “KP is engaged and we’re in a good place with him,” Mills said.